The winter break was relatively dry, so the San Lorenzo River here near Felton was unusually low for the end of the year. However, the cold was occasionally bitter, and woodstoves and fireplaces were flaming all up and down the valley for the whole season. 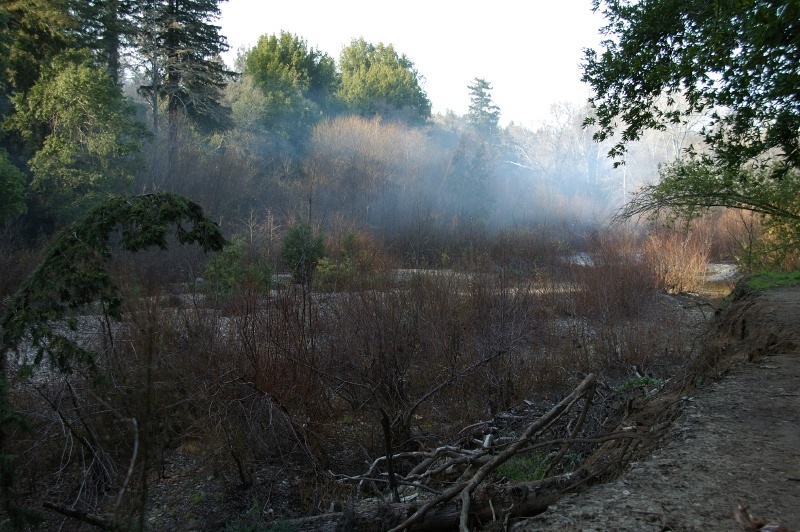 Here, blue wood smoke hangs over the San Lorenzo's course through the Henry Cowell Park domain.